Pick an occasion! This adorable little design will work for them all! Well, almost all of them. It’s a great pick at Christmas time, or any time you’ve got something to celebrate. 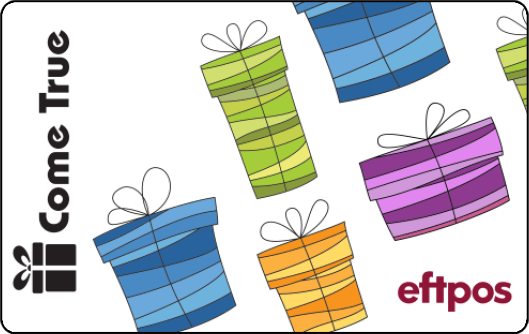 And it’s easy to organise a run of these eftpos gift cards — they are one of our standard cards that we can sort out for you in no time. When there’s no design work to do, you don’t have to jump through the hoops of back-and-forth approvals. So, if you need to get your cards in a matter of days (not weeks), this is a prime choice.